The laptop can be recharged using a WiGig wireless dock. Dell plans to market it next May. On the occasion of the Consumer Electronics Show CES 2017 last week, Dell has unveiled three new hybrid PC models. 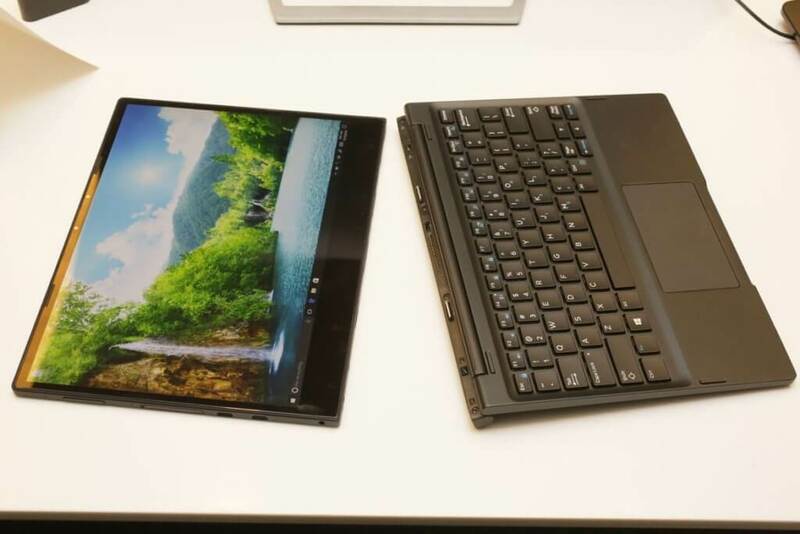 First, a hybrid version of it’s XPS 13 laptop. Next, the Dell Latitude 5285. Already introduced in our columns, it draws inspiration from the Microsoft Surface Pro 4. Finally, the texan manufacturer introduced the Latitude 7285. Without a doubt the most original of the three, the Dell Latitude 7285 is the first 2-in-1 wireless rechargeable laptop in the market. To realise the wireless charging technology, Dell has chosen to turn to WiTricity’s magnetic charging technology. It has been integrated into the Latitude wireless WiGig dock. However, this will only be available as an option. The Laptop comes with a choice of 3 detachable keyboards, the main one is the the wireless charging keyboard, a travel light keyboard and a traditional keyboard which can be charged with a normal power cable. At this point it is not clear if all 3 keyboards will come with the laptop. 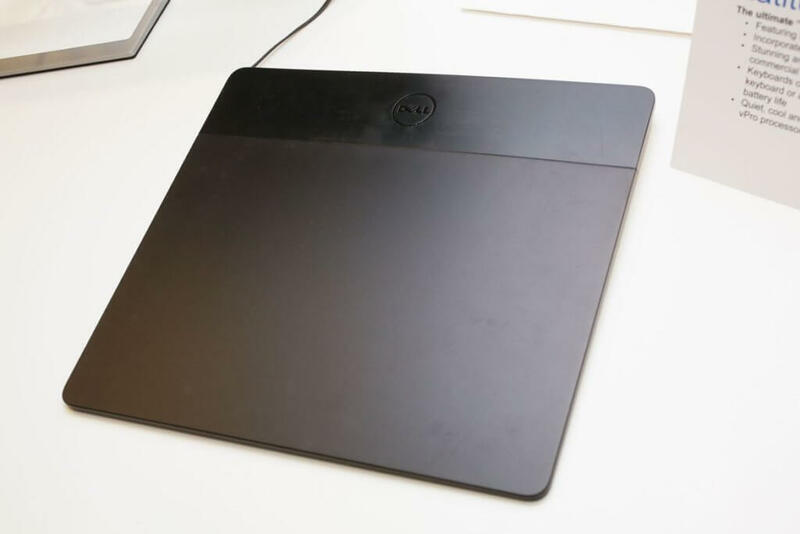 The wireless keyboard and tablet can be charged simply by placing it on a charging mat which is connected wirelessly to the charging dock; this would give you an estimated 6-8 hours of battery life. On the other hand the traditional keyboard once charged can give you a extra 4 hours of battery life which can be useful on the go. 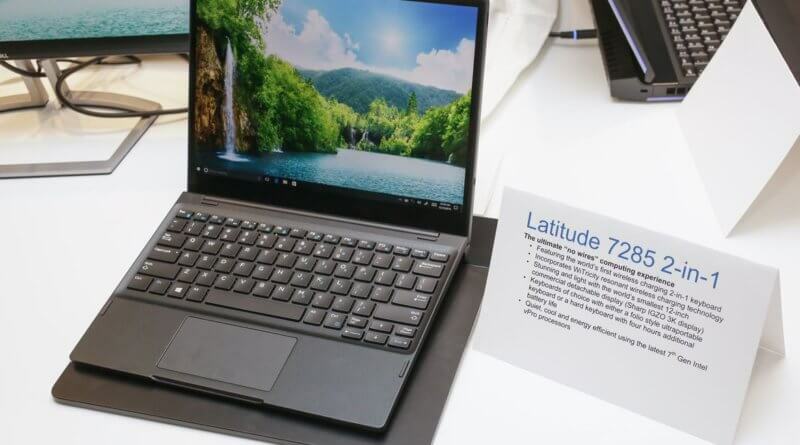 Equipped with a detachable HD screen (3072 x 1536 pixels), the Latitude 7285 will embed the latest generation Intel (Kaby Lake) processors and as it is a business Laptop it will have vPro Technology.You should also expect the choice between 8GB or 16GB of RAM, up to 512GB of SSD Storage, 2 USB Type-C ports with Thunderbolt 3, a microSD card slot and a headphone/mic jack. At this point Dell haven’t stated the likely price of the laptop or the accessories but the the Michael Dell Group announces the release of the Latitude 7285 for May 2017.